You will start your safari in Zanzibar or Dar es Salaam Airport where by you have to arrive 60 minutes before your departure time 0800hrs. 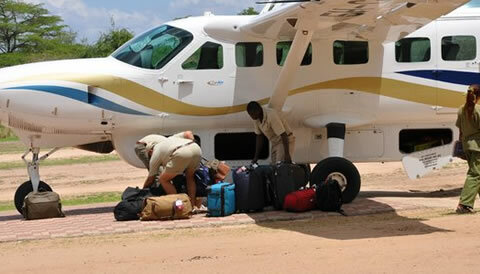 On Arrival in Selous Game Reserve Mtemere Airstrip at 0915hrs or 0945hrs, you will be met by the driver guide who will transfer you to the lodge for check in. At around 16h00 in the evening depart for adventurous and romantic evening sunset boat safari along the great Rufiji River to spotting Hippos, Crocodiles and Birds, and enjoying the spectacular sundown. Dinner and overnight at Rufiji River Camp(above midrange lodge) or Selous Kinga Lodge(midrange lodge) . After early breakfast depart for full day game drive in the Selous Game Reserve exploring the game in the surrounding areas. You may expect to see any of the major African great favorite mammals, including Elephant, Giraffes, Lions, Buffalo, Zebra and even the rare African Wild Dog. picnic lunch shall be provided in the mid-day where by your guide will select a location with shade and water nearby to watch animals coming to drink – a place with a clear view all round so that no predator can creep up hidden. Before end of the day return to the lodge and the rest of the evening will be spent at your own leisure. Dinner and overnight at Rufiji River Camp(above midrange lodge) or Selous Kinga Lodge(midrange lodge) . After enjoying your breakfast in the morning, check-out followed by transfer to Mtemere airstrip for the departure on a scheduled flight at 1030hrs or 1250hrs to Dar es Salaam or Zanzibar. End of the 3 Days Flying Selous Game Reserve Safari.